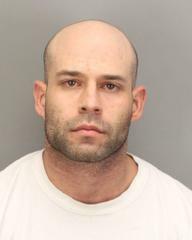 Homicide Inv- Morongo Indian Reservation RSO Homicide Investigators arrested Adrien Sotomayor. On January 10, 2018, at about 11:00 p.m., deputies assigned to the Riverside County Sheriff’s Department Cabazon station were dispatched to the Morongo Indian Reservation to investigate a shooting. When deputies arrived, they found three adult males suffering from gunshot wounds. One victim, Gilbert Trevino, age 55 of Beaumont, was transported to an area hospital, where he succumbed to his injuries. The surviving victims were transported to an area hospital, where one male remains in critical condition and the third male was released with minor injuries. Investigators from the Cabazon Station and the Sheriff’s Central Homicide Unit responded to the location and assumed the investigation. The suspect, Adrien Sotomayor, age 31, was arrested for one count of murder and two counts of attempted murder. Sotomayor was booked into the Larry Smith Correctional Facility in Banning. The Riverside County Sheriff’s Department would like thank the Morongo Band of Mission Indians for their support and cooperation during the incident. Neither the suspect nor the victims are tribal members or residents of Morongo. If anyone has information regarding this investigation, they are encouraged to call Investigator Trudeau with the Central Homicide Unit at 951-955-2777, or Investigator Lane with Cabazon Station at 951-922-7100. Due to the on-going investigation, no further information will be released at this time.